The church of St.Dominic at Miyar was built as a chapel to serve the needs of peasant families living to the east of Karkala town in 1937. On 1st December 1940 it was elevated as a new parish of Mangalore Diocese. The church building is adjacent to the Kudremukh road, on the National Highway No: 13. It is 7 kilometers from Karkala town and 58 kilometers from Mangalore. The present church building was constructed during 1946-49 and was inaugurated on 1st May 1949. Currently the parish caters to the spiritual needs of 330 catholic families, around 1640 members, distributed into 12 zones. 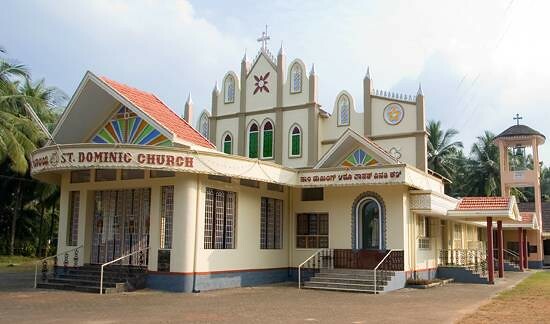 The church is one among the 9 parishes of Karkala deanery.